I took a rather lengthy row, for me, on this lovely Sunday morning. I was shooting into the early morning sun, not that early this time of year, so the photos were not great, but wanted to share this one. 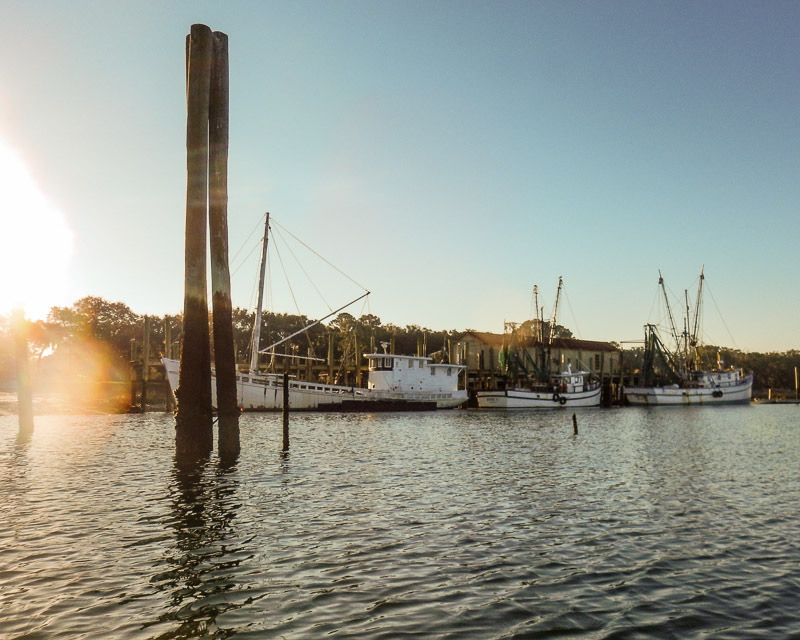 The two vessels on the right are shrimp boats, the interesting vessel on the left is an old Chesapeake buy boat.